Is just thinking about the holidays enough to exhaust you? Are you ready to recharge before the season hits in full swing? The perfect way to prevent holiday burn-out is a Girls Night Out, and Francesca’s Tavola is throwing the perfect one. Tonight (Monday, November 21) from 6-9 p.m., Francesca’s Tavola (208 S. Arlington Heights Rd., Arlington Heights, IL 60005; 847-394-3950) is ready for you and your girls to pamper yourselves. There will be a number of vendors ready for you to shop for some of your favorite things: candles from Gold Canyon Candles, tickets to a show at Metropolis Performing Arts Center, lingerie and adult gifts with Surprise Parties, jewelry from Stella and Dot, holiday gift baskets and treats from Annabella Boutique, juices from Mona Vie, Tupperware and purses and wallets from Gigi Hill. These fabulous vendors will also have prizes to raffle off the night of the event. The fun doesn’t just stop with shopping! You can also have a complimentary makeup application, get feather hair extensions from Don Stella Salon, have your eyebrows threaded, have a manicure from House of Blond Salon and much more! Admission is free and complimentary appetizers and goodie bags will also be included. Francesca’s Tavola will have $3 specialty martinis available and bottles of wine will be half off all evening, so you won’t be breaking the bank to have a great time. Gather your girlfriends and take a night for yourselves before you all get too busy to enjoy each other. No reservations are necessary. Just show up ready to have a good time! For more information on Girls Night Out at Francesca’s Tavola, call 847-394-3950 and ask for Carissa or Julie or email carissa@miafrancesca.com. 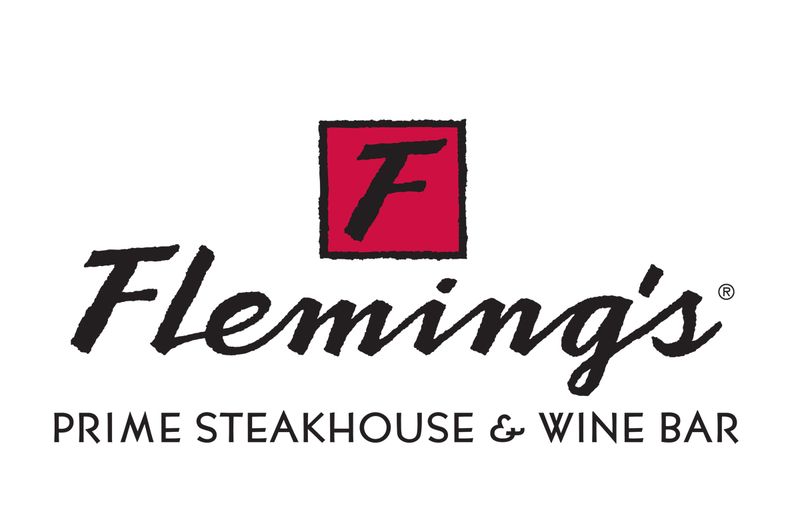 Two Chicago-area Fleming’s Prime Steakhouse & Wine Bar locations (25 E. Ohio St., Chicago; 312/329-9463 and 960 Milwaukee Ave., Lincolnshire, Ill.; 847/793-0333) are offering a terrific 3-course dinner for two that’s not listed on their regular menu and is available when you make your reservation for any date through November 15. 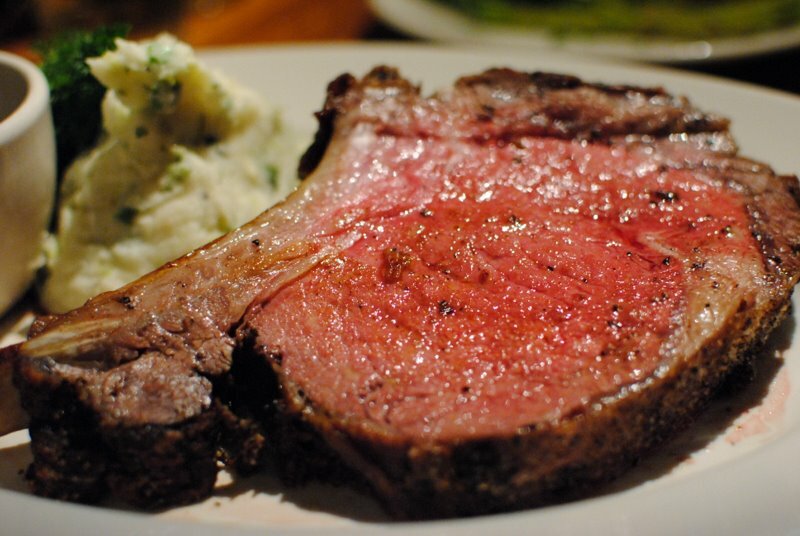 If you make a reservation by phone, please mention "Memorable Meal" when you call. It’s a great deal at $99 per couple. To reserve online, go here. Worried about the upcoming holidays ruining your healthy eating plans? Worry no more! Prairie Fire Restaurant’s Chef Sarah Stegner and Holisitic Nutrition Consultant Carol Wagner are here to make your holidays free of nutritional worries. 6:30 p.m. Monday, November 14, the two are pairing up to host a dinner at Prairie Fire Restaurant that features healthy holiday dishes. It will leave you mentally prepared for holiday festivities, whether you’re a guest or a host. Sarah and Carol make the perfect team to speak about nutritious and tasty holiday eating. 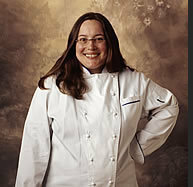 As the co-chef of Prairie Fire Restaurant and a two-time James Beard award winner, Sarah Stegner has extensive experience making healthy and delicious meals. Carol Wagner is committed to spreading the word about healthy eating. She is a 2011 recipient of a “Good Eating Award” Sponsored by the Chicago Tribune and has extensive training in psychology and holistic nutrition. The pair will share easy and appetizing healthy substitutions for many of your favorite dishes, as well as several of their favorite holiday recipes. Additionally, as part of their commitment to healthy living, they will share tips to mentally prepare you for eating healthy during the holidays and beyond. Sarah and Carol are experts in making healthy eating uncomplicated and showing how it can improve your quality of life. The menu will feature Citrus Marinated Beets with Capriole Farm Goat Cheese, Toasted Hazelnuts and "Three Sisters Garden" Pea Shoots along with Chicken Roulade with Sautéed Greens, Warm Root Vegetable, Toasted Whole Wheat Baguette Croutons and Ripe Pear Tossed in Sherry Vinaigrette and dessert. Monday’s event is $38 per person, excluding tax and gratuity. Reservations are required by Thursday, November 10 and can be made by calling 312-382-8300. Opera is popping up everywhere! In celebration of National Opera Week in Chicago (October 28-November 6), Chicago Opera Theatre is hosting several “pop-up” operas throughout the city, including at the Chicago French Market, Macy’s on State Street, the Art Institute of Chicago and at CTA stations. A “pop-up” is the opera’s version of a flash mob: free, short performances of opera classics in a public location. Today, November 2, The Chicago French Market is the site of the pop-up opera at 12:30. Stop by for a mid-day treat of great food and great opera! This is from one of last year's pop-up operas...look out for them! Future performances are a well-kept secret, so make sure to follow @ChicagoOpera on Twitter for information about up-coming pop-ups. If you are lucky enough to see a performance, make sure to include #popupopera in your tweet to be entered in a contest for the Chicago Opera Theatre! Christmas markets in France otherwise known as Marché de Noël, provide a great opportunity for a winter break. They exude a fantastic atmosphere and offer great shopping opportunities not to mention replenishing wine stocks for the Christmas season. You won't have to travel to France to experience an authentic French Marché de Noël this holiday season. Chicago French Market, 131 N. Clinton, is hosting a two-month-long Marché de Noël starting Nov. 7 and running through December 31. Rotating visiting artisan's selling unique gift items will display and sell wares under the Eiffel Tower in the market daily from 10 a.m. to 7 p.m. The Marché de Noël at the Chicago French Market also offers you the opportunity to do all of your holiday shopping in one location. Artists will sell jewelry, kids' items, wall décor, photographs, toys and many more of your favorite items. A variety of new items will be featured at the Chicago French Market during this time. The Marché de Noël is believed to have begun in Dresden, Germany in 1434 under the reign of Frederick II of Saxony. The Marche de Noel first began in France in the city of Strasbourg where it is still held today. It has continued ever since in France and in many other cities throughout Europe. Avoid the rush-hour commute and listen to the eclectic sound of musicians Robin and Jenny Biennemann from 4 to 7 p.m. This talented married couple combines startling musicianship and original songs to create a rich musical combination of quirkiness and pensiveness. In performance they alternate between Jenny's well-crafted songs and Robin's dry humor mixed with his jazzy guitar. This pair will surely keep you entertained as you relax after a long work day. Interested in learning the art of the French Crêpe? Join the Flip Crêpes team as they teach the art of the French crêpe during the Sweet and Savory Couples Crêpe Class at 10 a.m. and 2 p.m. Saturday, Nov. 5 at Flip Crêpes (131 North Clinton Street, Chicago; 312-504-2541). This is a couple's class so find a partner who wants to enjoy the delight of savory crêpes. Tickets are $95 per couple. Purchase your tickets online at www.flipcrepes.com. November 7, 2011 - Prepare vegan recipes at Raw. Grab lunch at the Chicago French Market and enjoy the sound of music prodigy Gabrielle Browdy. Browdy, just 13-years old, will sing from 11 a.m. to 1 p.m. Whether Gabrielle is singing a jazz ballad or a modern day hip-hop pop tune, her approach is the same: musicianship is her top priority. Interested in learning the art of the French Crêpe? Join the Flip Crêpes team as they teach the art of the French crêpe during the Sweet and Savory Couples Crêpe Class at 10 a.m. and 2 p.m. Saturday, Nov. 12 at Flip Crêpes (131 North Clinton Street, Chicago; 312-504-2541). This is a couple's class so find a partner who wants to enjoy the delight of savory crêpes. Tickets cost $95 per couple. Purchase your tickets on-line www.flipcrepes.com. 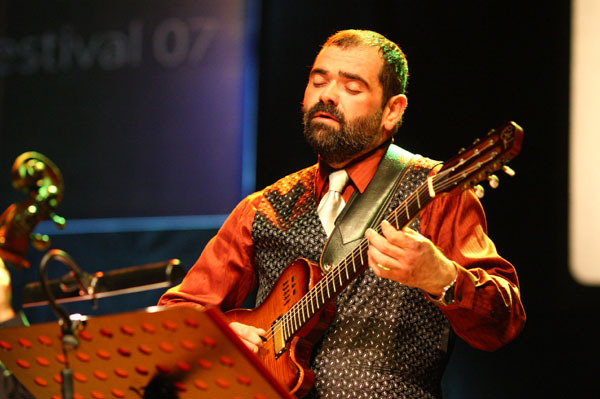 Enjoy a special appearance of an amazing French Jazz Trio; FLON FLON ET MUSETTE. Marion Perrier (Accordion), Jerome Lacena (Percussion) and David Nabwangu (Bass) - who originally come from Paris, France and Montreal, Canada, will delight. It's time to celebrate the Beaujolais Nouveau at the Chicago French Market! The French holiday begins at midnight on the third Thursday in November. You are invited to taste the young wine from the fields in France: Beaujolais Nouveau. The grapes used for this wine were on the vine in August, picked in September, in the barrel in October and in the bottle in November. While you taste this young wine, stroll your way through the market, as many vendors will be giving tastings of their specialties. And enjoy the unique sounds of Flon Flon et Musette. Interested in learning the art of the French Crêpe? Join the Flip Crêpes team as they teach the art of the French Crêpe during the Sweet and Savory Couples Crêpe Class at 10 a.m. and 2 p.m. Saturday, Nov. 19 at Flip Crêpes (131 North Clinton Street, Chicago; 312-504-2541). This is a couple's class so find a partner who wants to enjoy the delight of savory crêpes. Tickets are $95 per couple. Purchase your tickets online at www.flipcrepes.com. Avoid the rush-hour commute and listen to the eclectic sound of musicians Robin and Jenny Biennemann from 4 to 7 p.m. This talented married couple combines startling musicianship and original songs to create a rich musical combination of quirkiness and pensiveness. In performance they alternate between Jenny's beautifully crafted songs and Robin's dry humor mixed with his jazzy guitar. This pair will surely keep you on your toes as you relax after a long work day. November 24, 2011 -Happy Thanksgiving! The French Market will be closed, reopening Friday, Nov. 25. Interested in learning the art of the French Crêpe? Join the Flip Crêpes team as they teach the art of the French Crêpe during the Sweet and Savory Couples Crêpe Class at 10 a.m. and 2 p.m. Saturday, Nov. 26 at Flip Crêpes (131 North Clinton Street, Chicago, 312-504-2541). This is a couple's class so find a partner who wants to enjoy the delight of savory crêpes. Tickets cost $95 per couple. Purchase your tickets online at www.flipcrepes.com. Sweet Miss Givings will be kicking off the holiday gifting season by offering a 10% discount with the purchase of both the "Recipe-in-a-Jar" (cookie mix) and the "Hot Cocoa-in-a-Jar" through December 3. The "Recipe-in-a Jar" is normally $15 and "Hot Cocoa-in-a-jar" is normally $10. Together they will be only $22.50. Cupcakes and brownies, normally $3.50, wil be $3.15. Here's a breakdown of what's coming to Chicago French Market this November! What's Thanksgiving without the pie? Just a turkey dinner! One of Delightful Pastries specialties is their pies. Choose from Apple, Apple Caramel, Apple Cranberry, Banana Cream, Chocolate Cream, Cranberry Fudge, Coconut Chocolate, Key Lime, Peanut Butter Chocolate Cream, Pecan, Pecan Mocha and traditional Pumpkin Pies. If sweet pies are not your thing, consider a savory pie as an appetizer or as a side dish for the dinner: Salmon en Croute, Spinach Lamb Pie, Potato Pie, Swiss Chard Red Onion Tart and Baked Brie. A comforting blend of artisan crafted pumpkin butter, steamed milk, and smooth espresso delivers the perfect flavor. Wrap your scarves around your neck and your hands around this seasonal specialty. Fresh apple cider infused with caramel and steamed to perfection, crowned with whipped cream and a light caramel drizzle. An artisan crafted Cardamom Mousse atop a light flourless chocolate base. An artisan crafted Pumpkin Mousse atop a gingersnap cookie based, crowned with crystallized ginger. Abbey Brown Soap Artisan has a new soap hot off the cutter for November. It's a wonderful round soap with pumpkin puree and seasonal spices, rich in flavor! Order your Thanksgiving centerpieces or, if you are the lucky guest, don't forget to bring flowers to the perfect hostess. Les Fleurs will be stocked with the finest fall flowers. Centerpieces can also be enhanced by seasonal fruit and vegetables. All arrangements and flowers come in an array of prices. We work with your budget! Place orders by calling 312-463-1111. Presto Café and Grill has added to their delicious Mediterranean menu: Schnitzel Sandwich $6.99/each, Schnitzel Plate, Grilled Seasoned Chicken with Rice and Salad ($6.99/plate), Chicken Vegetable Soup with Mini Croutons ($5.69/16 oz. ), French Onion and Spice Hummus Soups ($3.95/16 oz. ), Homemade Potato Burekas ($1.99), Homemade Halva Cookies ($3) and Homemade Fruit Strudel ($4). During the month of November Saigon Sisters will be featuring special Turkey Banh Mi ($8 each). To celebrate Beaujolais Nouveau on Thursday, November 17, Saigon Sisters will offer a Vietnamese Beef Bourguignon on French bread for $9. Don't forget to place your Thanksgiving Pie Order. Provo's Village Bake Shoppe specializes in Old Fashion European baked goods. Choose from Pumpkin, Apple and Apple Caramel Pies ($5 for 6" pies and $8 for 8" pies. Pecan Pie is $6 for 6" pies and $10 for 8"pies. To place your holiday orders please call 312-207-1261. What's a holiday without local freshly roasted nuts? Choose from Select Mix Salted Nuts (no peanuts; $6.99/lb. ), Raw Walnuts or Salted Whole Almonds ($4.99/lb. ), Salted or Unsalted Cashews ($7.99/lb.) or for that perfect pecan pie, Raw Whole and Half Pecans ($10.99/lb.). What about the cranberries for your stuffing or side dishes? Dried Cranberries are $8.99/lb.